When you sign the contract at the builder's office everyone including sales represent & buyers are all excited on their to be built new homes. The time flies by and soon they are attending all sorts of meetings are schedule that buyers typically have no clue what it means apart from understanding it leads to a step closure to move in to their home. During the process they trust the builder's site supervisors, builders' reputation and above all county inspectors to get the job done right and finish their beautiful dream home. Well as a Loudoun County new home residential Realtor I do see all sorts of issues when we are walk through the home at different stages to when the owners want to sell their homes since they did not do their due diligence. Some of these situations would have truly avoided if another set of eye was hired or buyer was alert! 1. 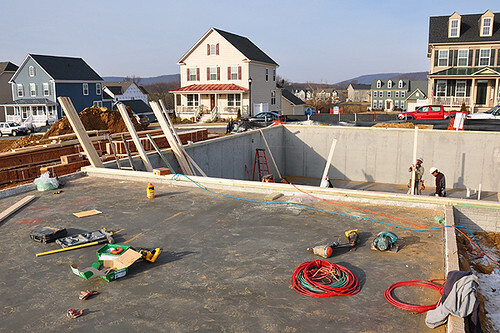 Take Pictures before foundation is poured: We all know the truth, as an excited home buyer in Virginia many of them visit pretty much every week their home site. While you are there, take pictures of the home before the foundation is poured this will help you know in future where the sewage line and other utilities are going through your foundation. It may mean nothing at this point to many home buyer in Virginia however when the time goes by and you have a sewage back up in the homes this will be handy to see where the pipes are running under the concrete. Or if you decide to add that additional drainage in the basement you will not have to run to county for blue prints. 2. 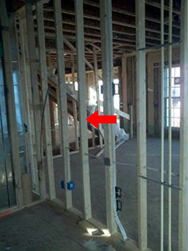 Take Pictures/Video before the Dry wall is up: I recently did a pre-dry wall walk through with my first time home buyer in Ashburn Virginia. During the walk through I pointed them the hot and cold water pipes coming from upper level of the home to the basement. Interesting part was the pipes were passing through will be their family room wall. Now envision if they put a nail on these pipes to hang their family pictures or other art...you guess what can happen next. Same home ..another water line was running through their master sitting room where they were planning to hang their flat screen TV. Now if they did not know about this pipe I am sure a novice would have caused major issue in their master suite. Even the builder would not cover your mistake. So if your home is under pre-dry wall stage walk through each room, if you are recording on a camcorder speak on the video what room you are entering and what wall you are referencing. While most of the homes are pre-built there are custom options many of the home buyers purchase at the sales office which creates the unique home that meets their family needs. There are so many examples I can write up where builder forgot or messed up on the options that buyers had purchased. Here are one extreme example that helps to remind you why you nee d to bring the option list including custom and standard options with you at pre-dry wall and all stage. I had buyer who had purchased tray ceiling as an option in their master bedroom, however during our pre-dry wall inspector who had received structure option list confirmed that the roof thrust does not look like they have added tray ceiling. Speaking to the builder they agreed to their mistake. Since roof was already up ...it would cost thousands of dollars to the builder to replace the roof and add that feature. My client was very disappointment, being almost 6 feet tall he wanted to have that extra height in the room....renegotiating with the builder they got a free deck and washer & dryer in their home plus the credit for the tray ceiling! Satisfied but wish they had got the feature they wanted in the home. Other instances I have seen errors on where the media option was installed in wrong room or wall, wrong light fixtures to incorrect tiles and granite were installed in the home. 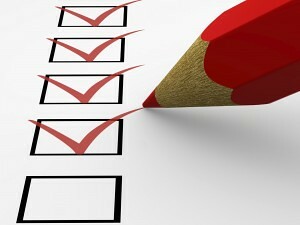 Bring your list and walk through each and every room with that check list. 4. Get Inspection at all stages: I know many of my buyers ask "The County inspects why I should spend money in inspecting t he home?" Well, your home is being built by many subdivided contractors; a county inspector will come to inspect not just one home but bunch of homes. I agree it would be counties inspector burden to check for building codes. But we all know ...we are humans. An extra set of eyes won't hurt if that helps to eliminate the issue upfront before it will cost you $$$s in future. My recommendation get inspection when the foundation is dug and footers are laid down, pre-dry wall and at the final walk through. 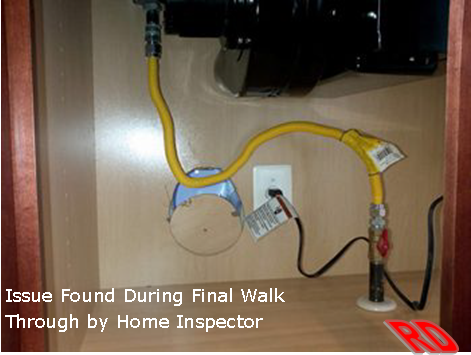 If any time you have concerns get your inspectors opinion apart from questioning the site manager. 5. At your Final Walk : Most of the buyers are focused on how the home cosmetic looks when their friends and family arrive. Here is an example..I was at a final walk through with a buyer a week before their closing. Walking through the rooms I discovered couple of walls were not straight, they were uneven and it looked worst when we turned on the lights. Builder agreed to fix it but think about it if you were to close that day and/or while living in that home you notice it now you have to schedule a time off from work to get this done. Other issues I have seen is due to construction broken cabinet inside, oven missing racks, mismatched base molding to the hardwood flooring and other details that can stress out the buyer. How if your home builder rated? Check Radon Level in your new home? How to choose your options while purchasing a new construction in Virginia? New Construction OR Resale Home - Which is the best deal for Virginia home buyer? Residential real estate agent serving Northern Virginia in Fairfax & Loudoun county over a decade and almost $100+M in sales volume experience. Ritu, watching your home being built from ground up is the most exciting for home buyers! Great tips for buyers to follow on new construction! Great article. The only trouble home owners might have is with #4. Home builders are reluctant to have third-party inspections done during construction. Inspections during construction are usually carried out through the town, city, county and/or state and most builders have great relationships with inspectors. However, after construction is done, it is always recommended to get an inspector. Ritu, all very good point to consider following up on. You are right, inspecting a home is more than just looking at it cosmetically. Nice post! Have a Question? Ask Me..
Should you Wait or BUY a home in Virginia Now 🤔😟? BUBBLE or UNDERVALUED Northern Virginia housing market? 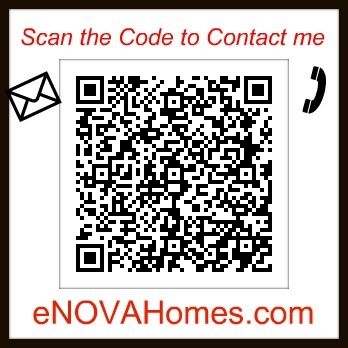 Find VA real estate agents and Ashburn real estate on ActiveRain.